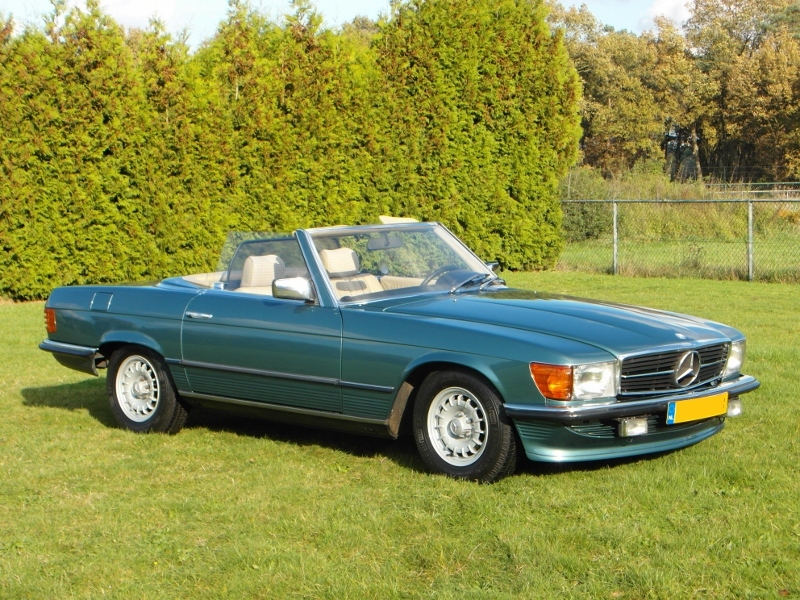 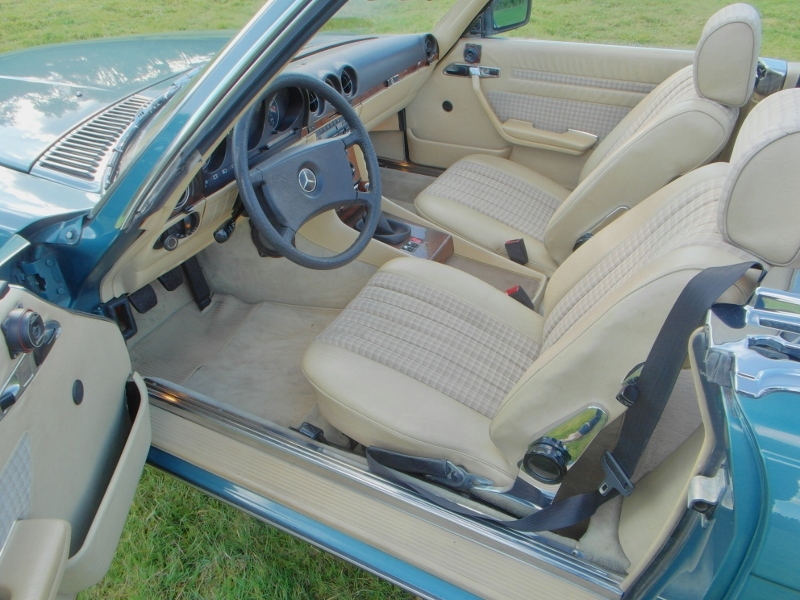 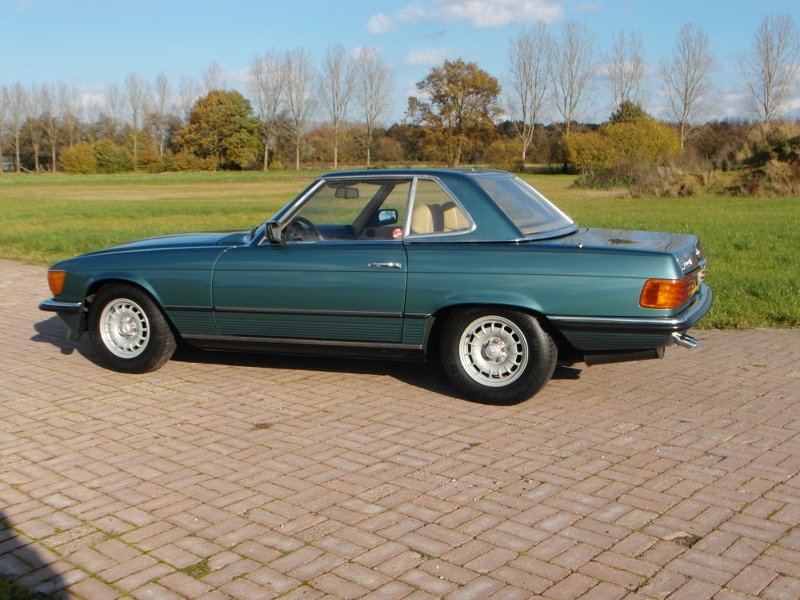 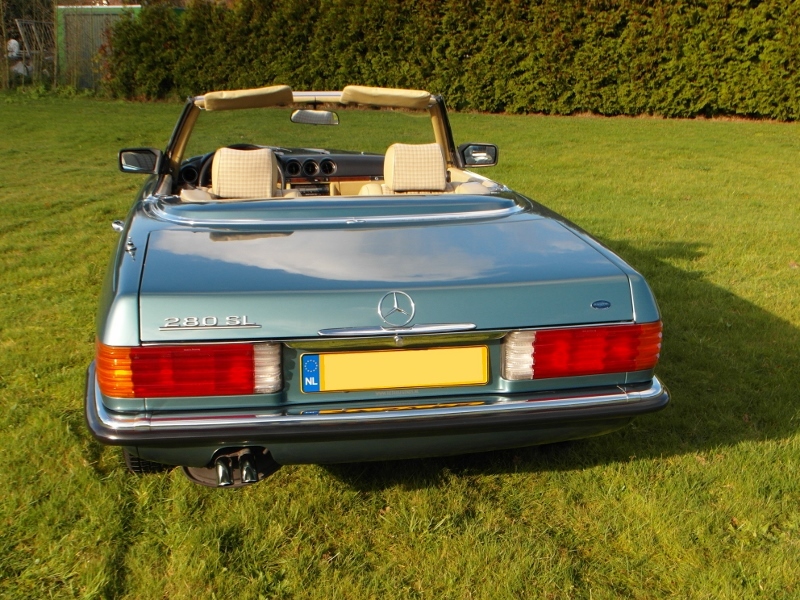 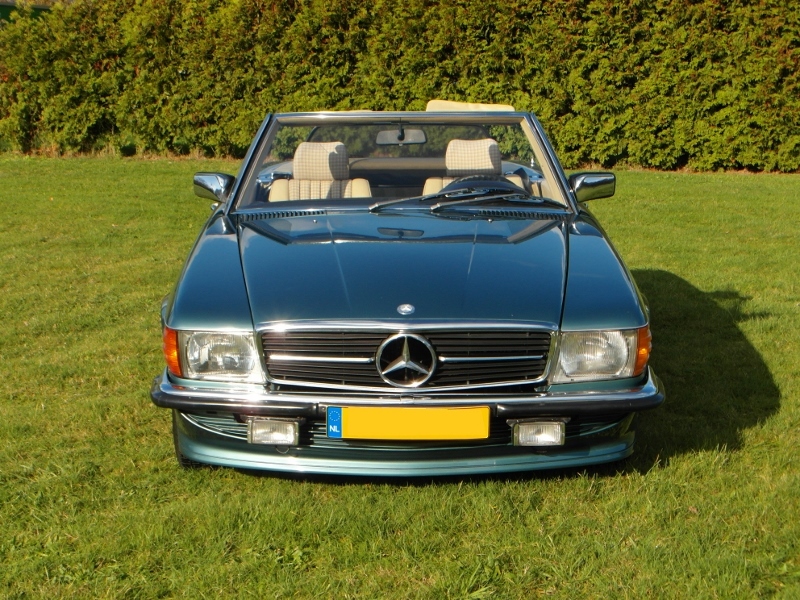 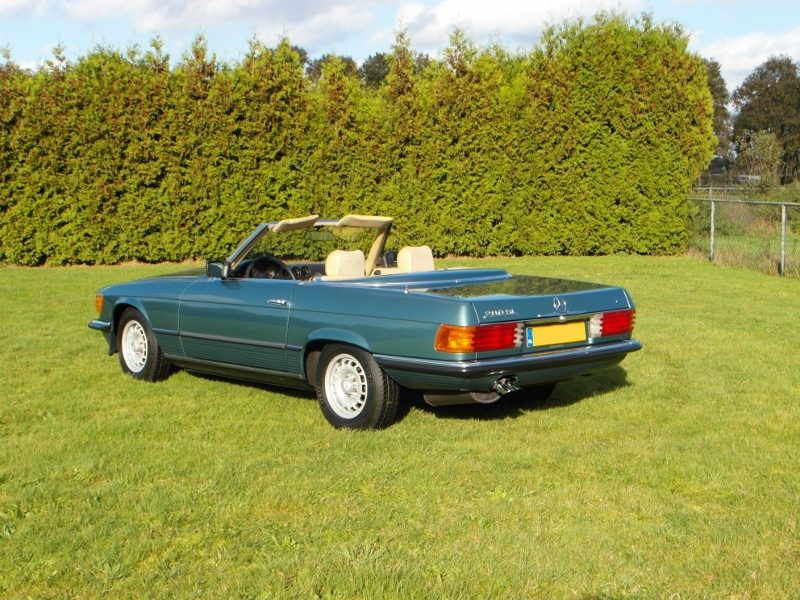 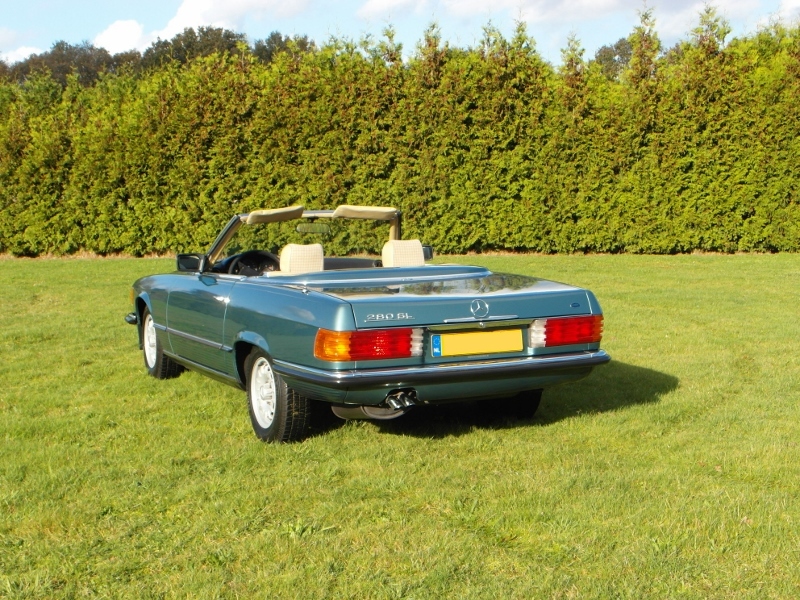 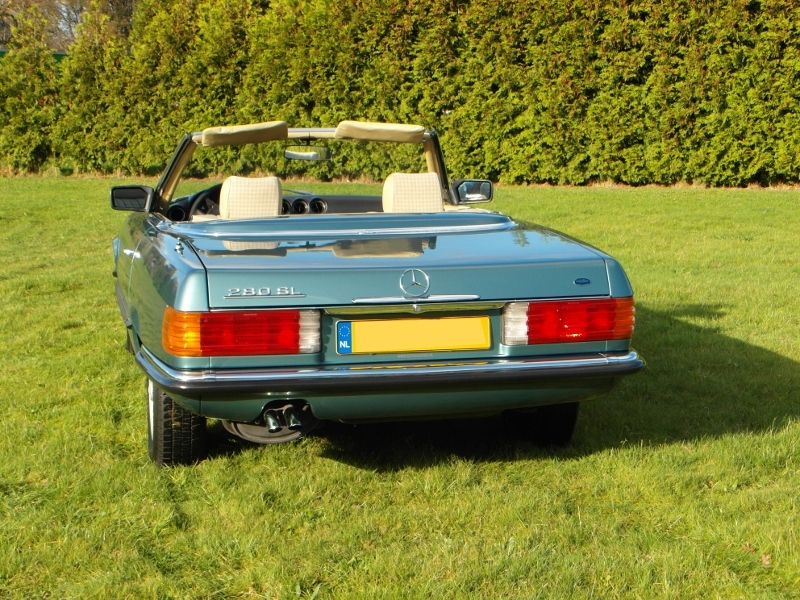 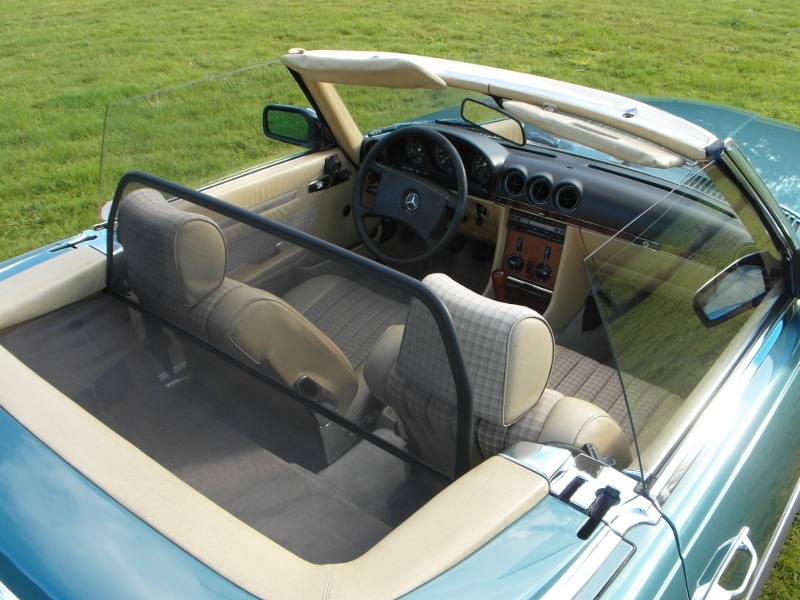 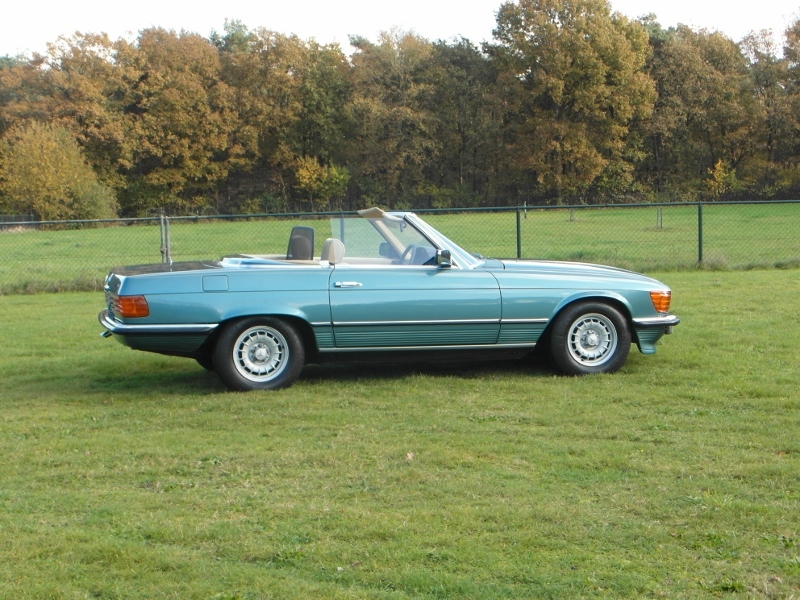 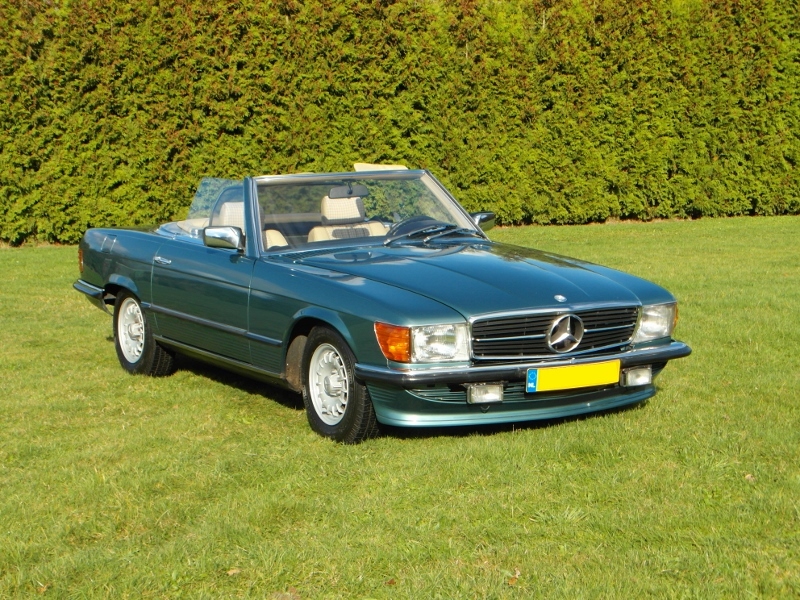 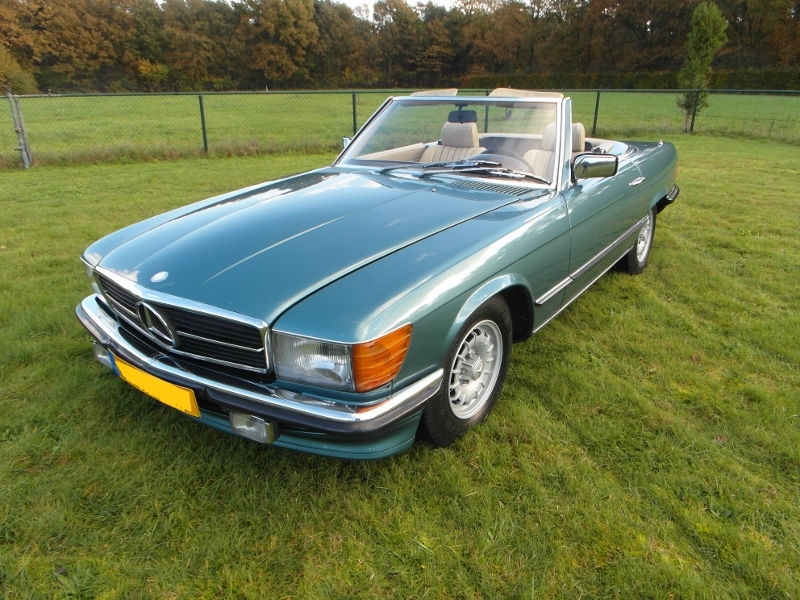 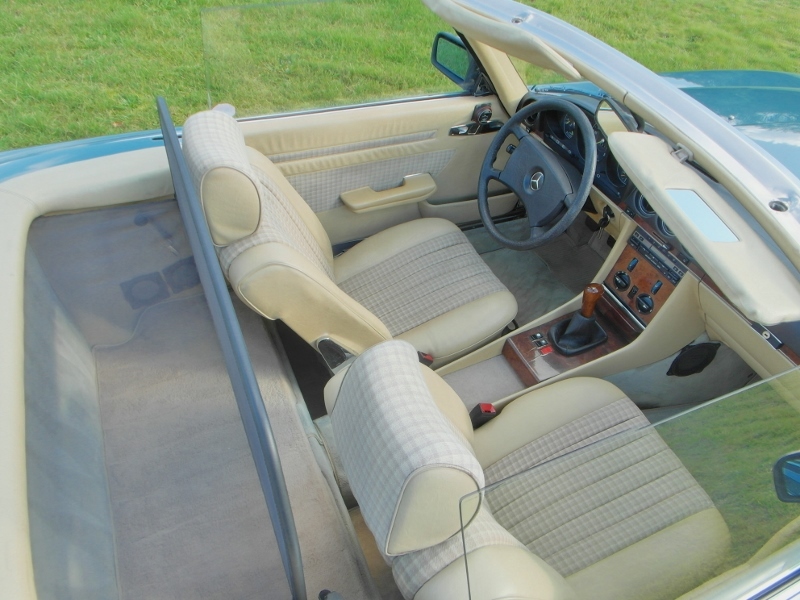 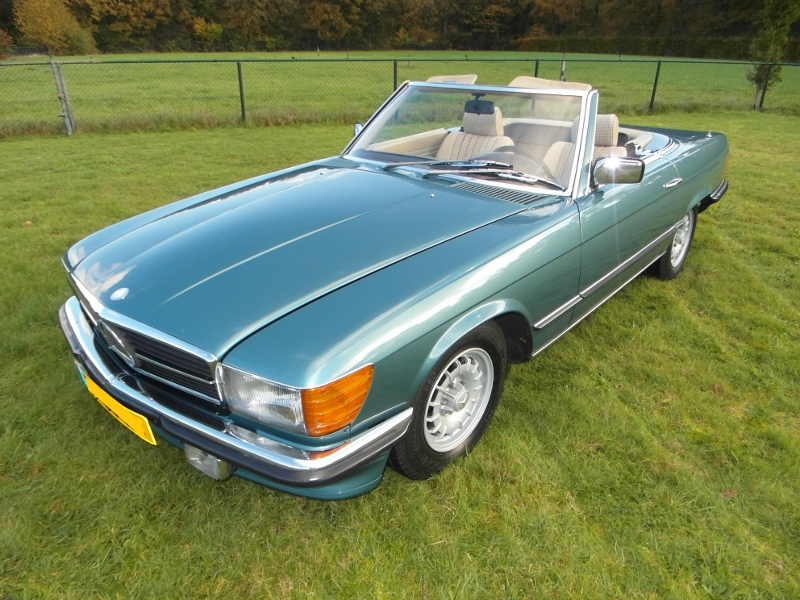 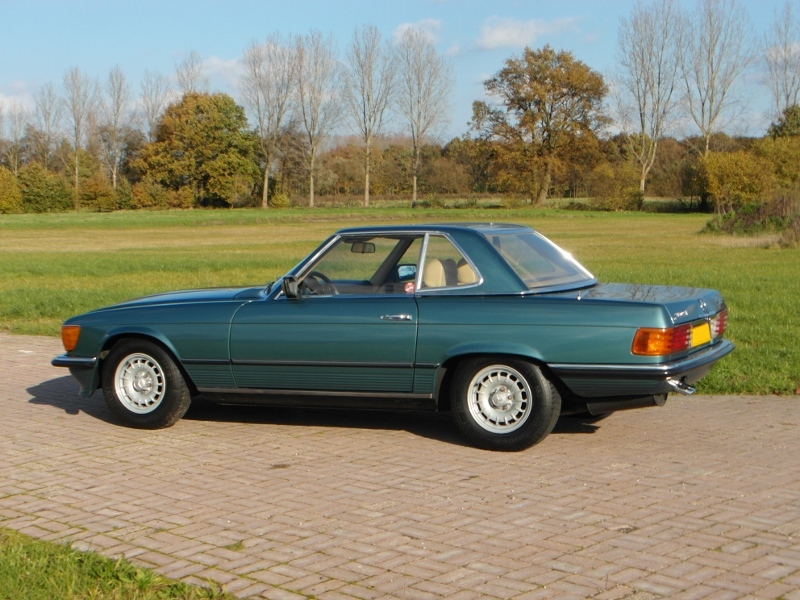 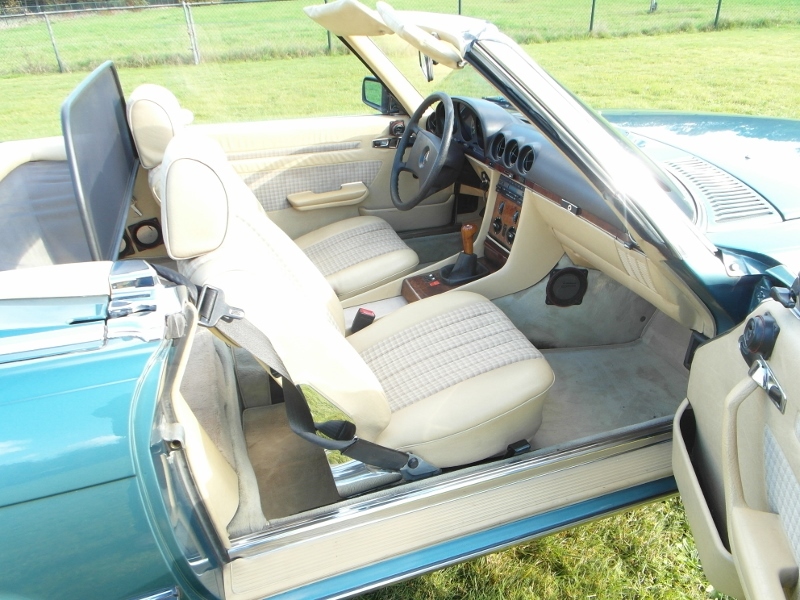 A very nice example of the Mercedes-Benz 280 SL Roadster in very beautiful “petrol”metallic with beige interior. 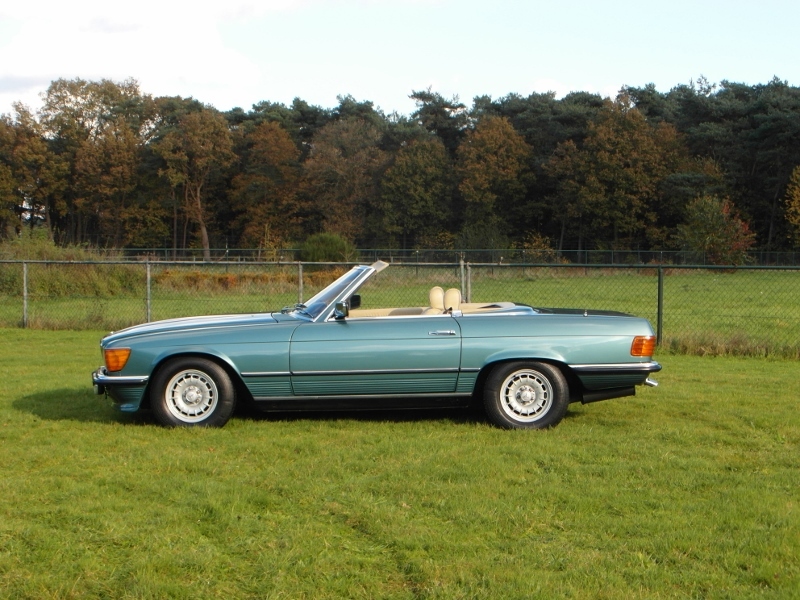 Car is one of the last produced w107 model range of Mercedes. 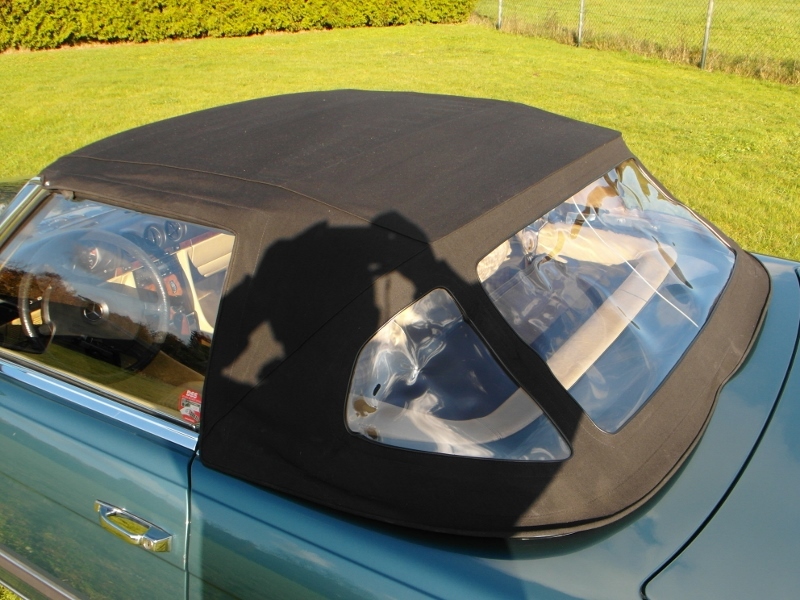 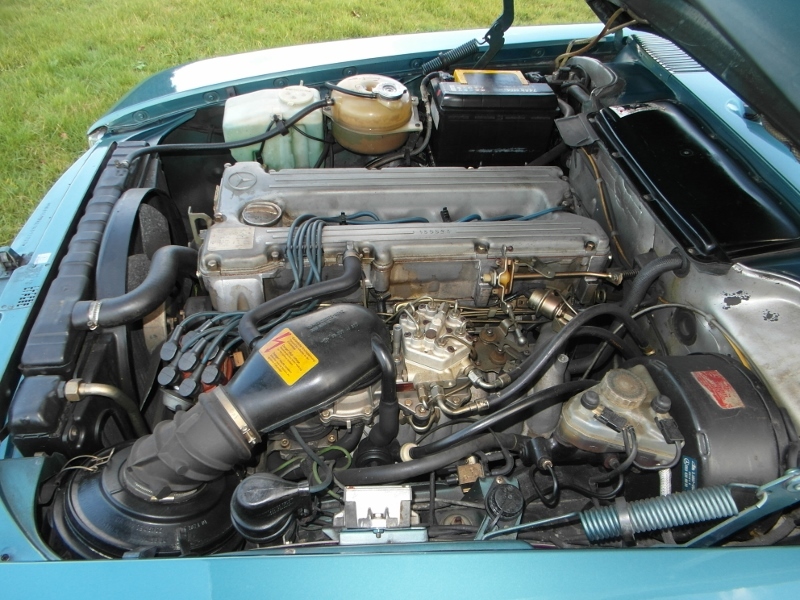 Car has a black softtop and is accompanied with a harttop in same color as the car. 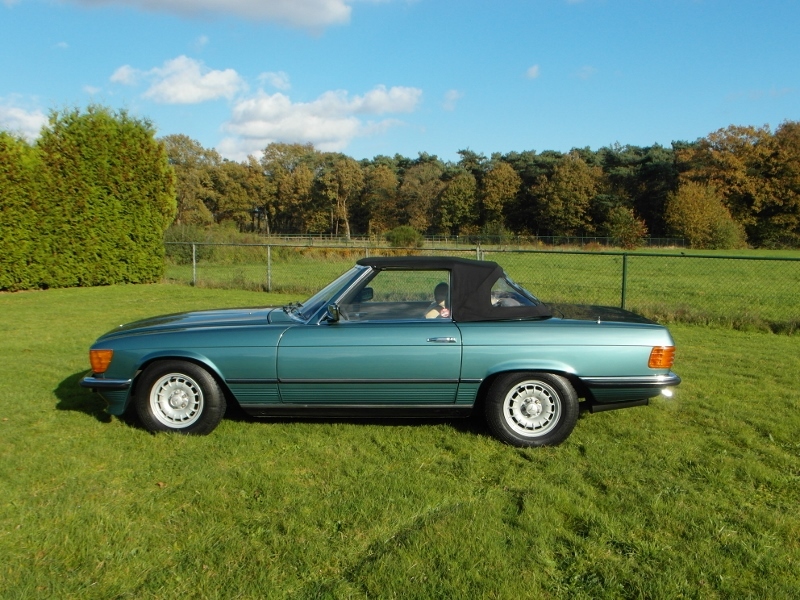 Car was new delivered in Germany and imported and roadregistered in The Netherlands in 2006. 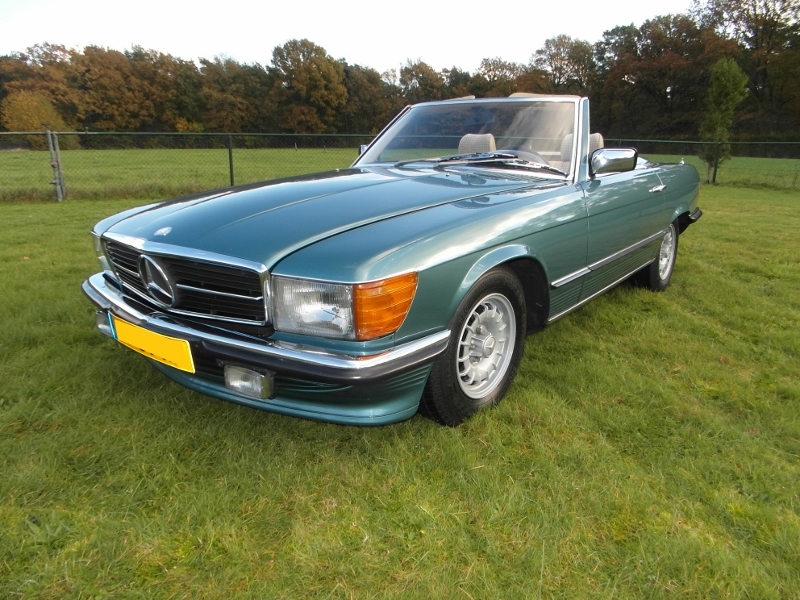 Car has a fresh Dutch MOT valid till mai 2016. 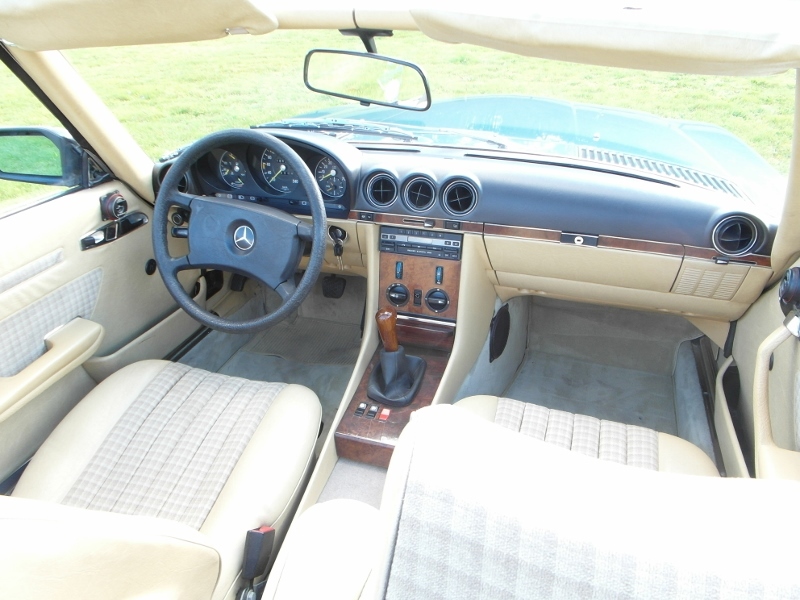 This car has a 5 speed manual gearbox, electric powerd windows and still an original Blaupunt radio. 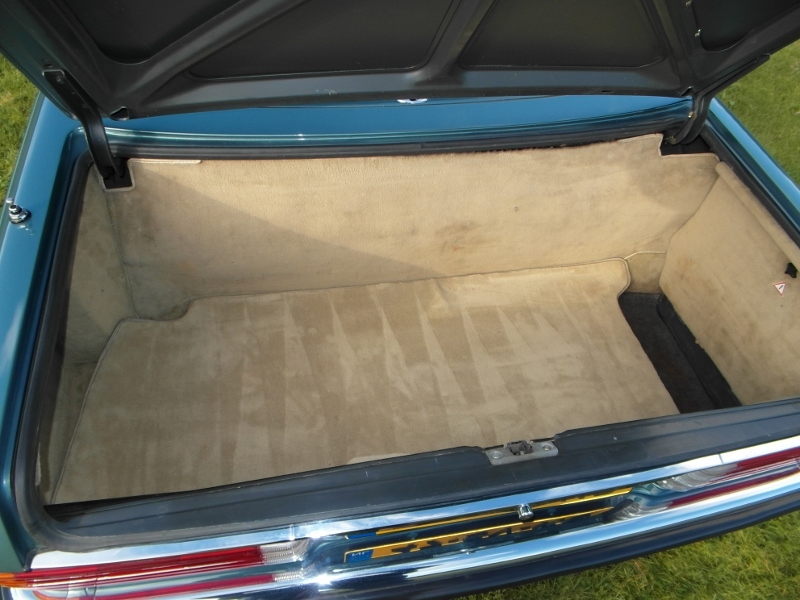 Service books are with the car and stamped. 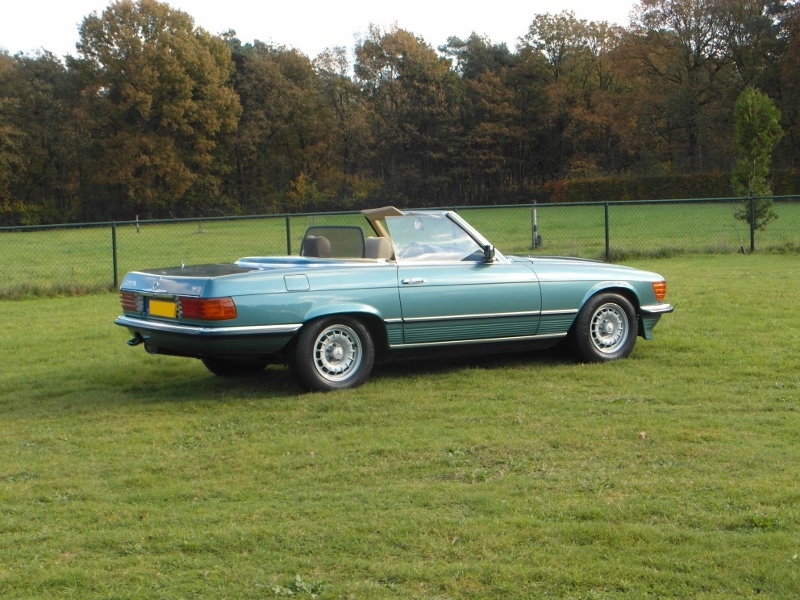 Car has covered 190.000km from new.